고려대학교의 전신인 보성전문학교의 경영을 맡았던 김성수가 1933년 공사를 시작하여 1934년에 완성한 본관건물로 박동진이 설계하였다. 3층(중앙탑은 6층)이며 화강석을 주재료로 한 좌우대칭의 고딕양식으로 되어 있다. 평면 H자형이며, 중앙에는 넓은 홀이 있다. 건물 현관의 두 돌기둥에는 학교의 기상을 상징하는 호랑이 상이 조각되어 있고, 중앙 후문의 돌기둥에는 무궁화가 조각되어 있다. 건축 당시에는 내·외부가 호화스럽고 웅장하여, 국내의 학교 건축물로서는 유례가 없는 훌륭한 것이었다. 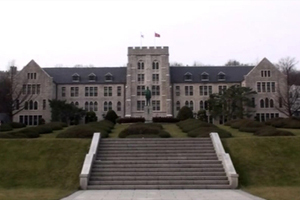 This is the main building of Korea University built by Kim Seong-su who had run Boseong College, the predecessor of the present Korea University. He started construction of the building in 1933 and finished it in 1934. Park Dong-jin designed it. 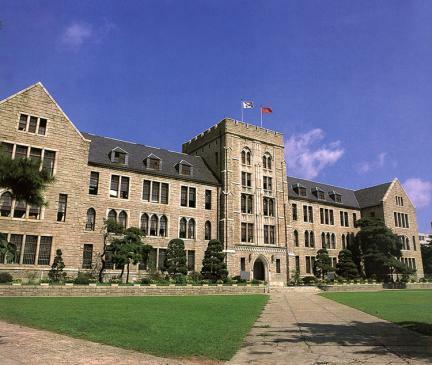 It is a 3-story building with a 6-story central tower, mainly built of granite in a symmetrical arrangement of both side with a Gothic style. It has an H-shaped plan, with a wide hall in the center. 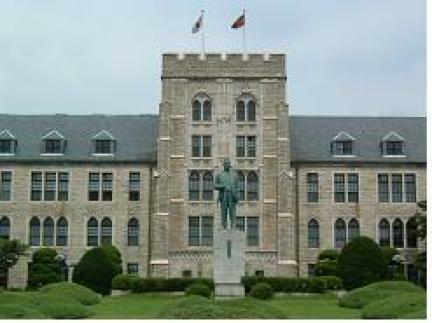 The image of a tiger on the two stone pillars of the building entrance is carved to symbolize the spirit of the university, and a rose of Sharon is carved on the two stone pillars of the rear door in the center of the building. It was an outstanding school building unlike anything built before, with splendid decorations both in the interior and on the exterior.